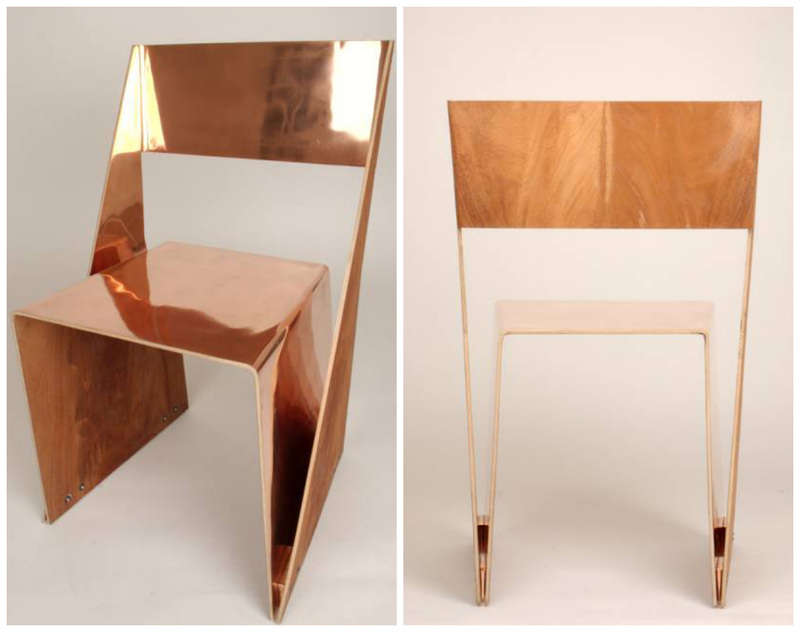 At first glance this might seem a little out there–copper dining chairs? But really, these should be total crowd pleasers. What else could look so modern yet classic–copper anything is kind of a throwback. And it’s at once cool but the warmest, glowiest of metals. Plus there’s not a palette these wouldn’t work with if you think about it. I’m sold. 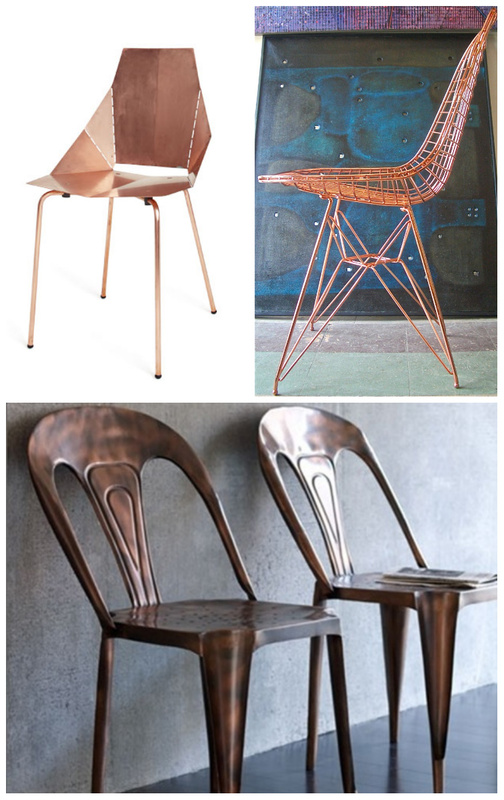 I’m desperate for Blu Dot’s Real Good Chairs in copper (the image immediately below on the left) and we’ve been on the lookout for new dining chairs too. I was on a high for half a day after I found these. Yay! Too bad as soon as I walked into my dining room next I realized I’d want to replace the silver ceiling and sconces, which were perfectly fine till now, if I got these chairs. Efff….